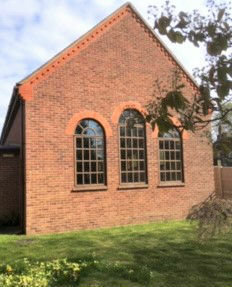 As part of the community, Stewartby United Church is pleased to offer a modern church hall for hire. We try to be as accommodating as possible and you are welcome to come and view the facilities in advance. Hall rental is available both for one off events, such as parties, or to make a standing booking each week . We already have groups using the hall for various activities and we hope our church hall facilities (which were built in 2001, including a new kitchen and disabled facilities) will enable you to have a suitable venue for your activity. 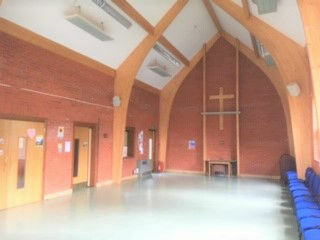 If you are interested in hiring our Church Hall please contact Christy Barr on 07921 510350. A Mums and Toddlers group who meet every Tuesday in term time, from 9.30 to 11.00. They provide activities for the under 3s and warmly welcome new members to join them. Phone Alison on 07896 997602 for more information. Stewartby Operatic Society have been meeting on church premises for a considerable period of time. They are always keen to recruit new members. They put on performances on a regular basis and meet to rehearse on a Thursday evening. This brass band celebrated its 100th anniversary in 2001. They meet every Tuesday in the church hall. They put on several concerts during the year and are keen to welcome new members. The School of Dance meets in the church hall on Wednesday and Saturday for a variety of dance classes. Music Bugs meet on Thursday mornings in term time.